In Case I’ve missed one in the past you’re curious about. Info: This is a Paragon’s Promotion event; will feature normal Paragon gear and other vendors. It’s a typical swap meet. Info: Typical swap meet. Generally pretty good turnout. 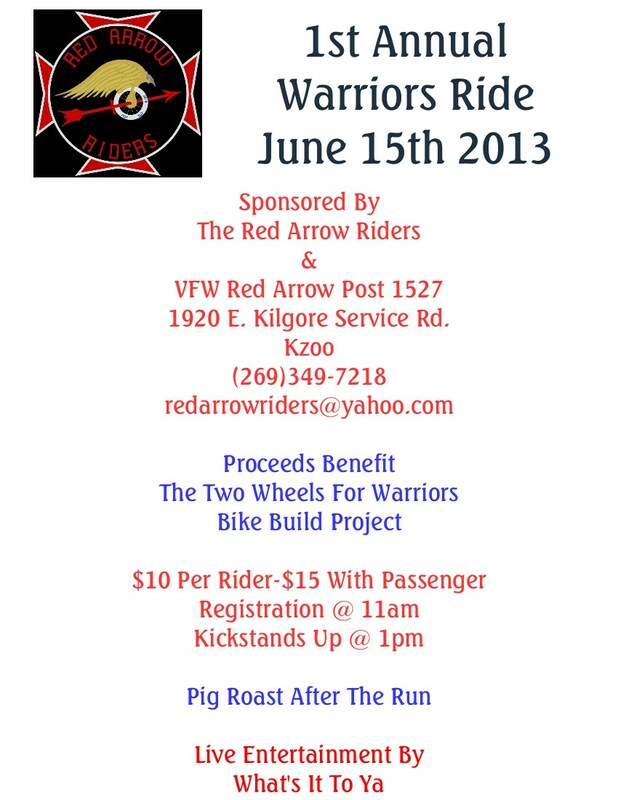 Info: Great ride for a great cause. 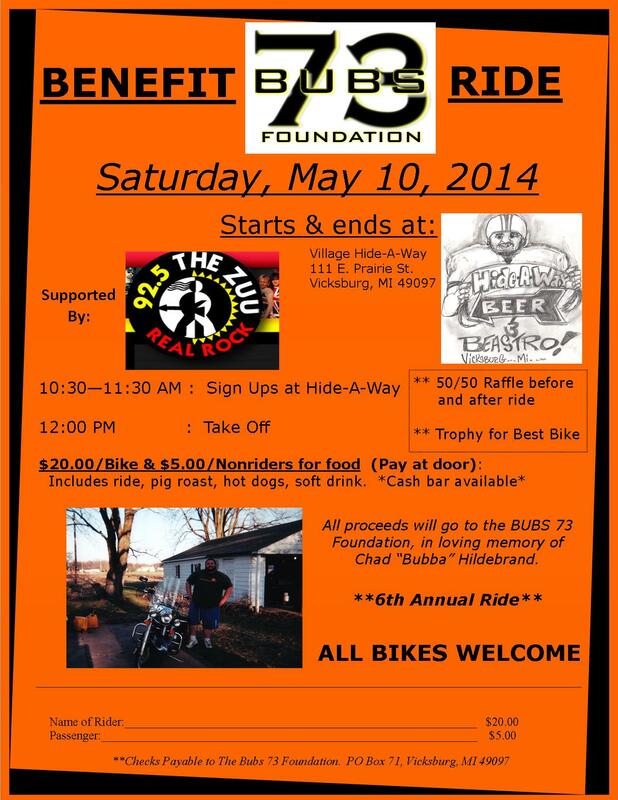 The Bubs 73 Foundation was established in 2008 in honor and memory of Chad “Bubba” Hildebrand. The Foundation focuses on the needs and welfare of the children in the Vicksburg Community. Supporting kids in need of food, clothing, athletic sponsorships/scholarships. Over $62,000 donated back to date. See the flyer HERE. 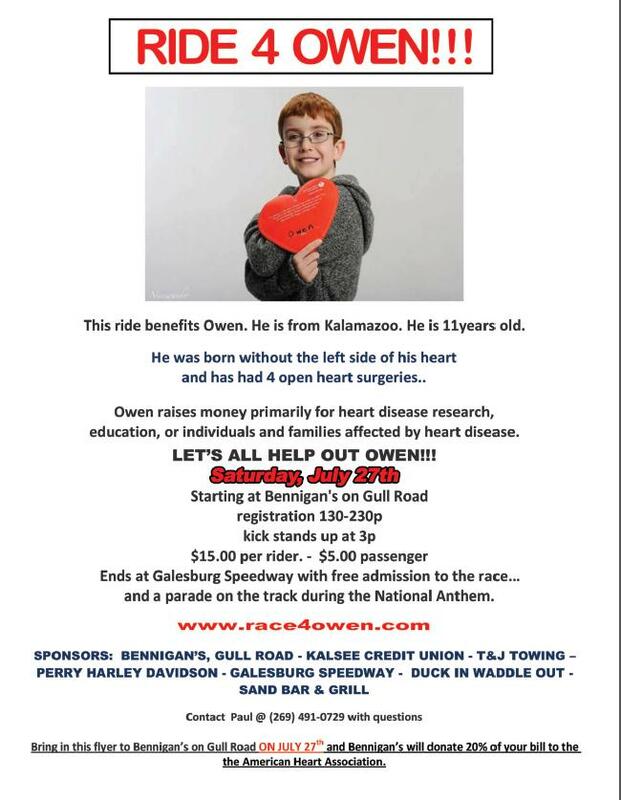 Location: Ride begins at Old Mill Golf Course, 6101 W XY Ave, Schoolcraft, MI 49087, and returns to Old Mill Golf Course at 1 p.m. Cost: Memorial ride is $20 single, $35 double. Pig roast meal ticket $3.50. Golf registration is $30. Info: Much bigger and different than in previous years, with the proceeds still going to charity. 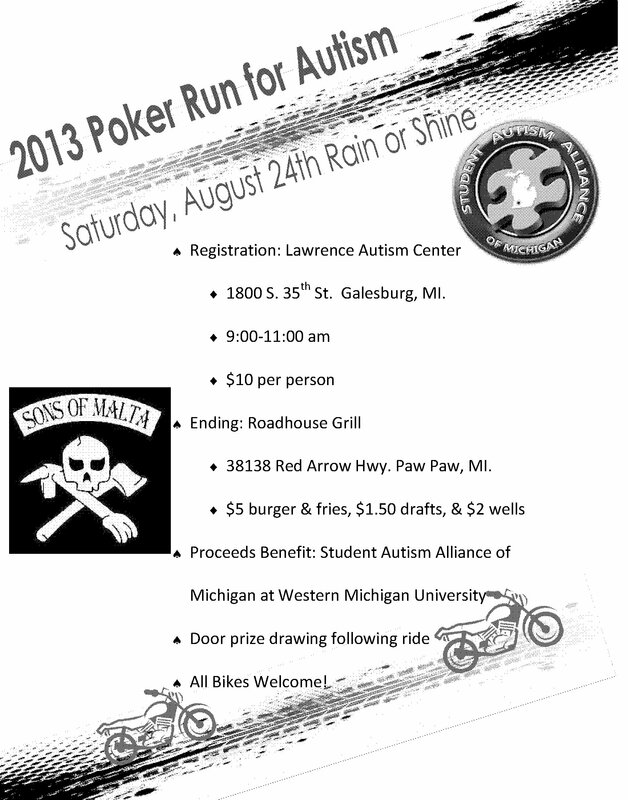 This event will not only be a memorial ride but also includes a golf outing for non-riders that coincides with the ride. After the ride/golfing there will be motorcycle contests (burnout/skills) from 2-5 pm and 3 amateur cage fights officiated by UFC Veteran and MMA Legend Jeremy Horn. Pig roast dinner is at 5 pm and costs only $3.50. Outdoor concert with bands TBA also included, starting at 7 pm and going till 11 pm. 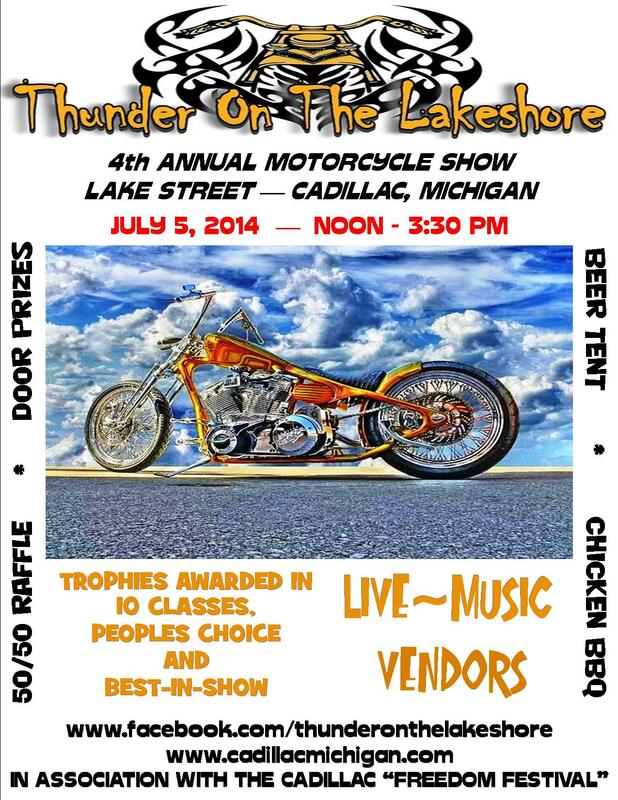 Vendors will also be on site all day selling motorcycle goods. If you’ve never gone to this event before, or you are newer to riding this is a great one to check out. Very friendly people and atmosphere, let’s hope the weather co-operates! Info: Motorcycle Biker Blessing at Mt. Zion Baptist Church in Downtown Kalamazoo. Food, fun, door prices and vendors. 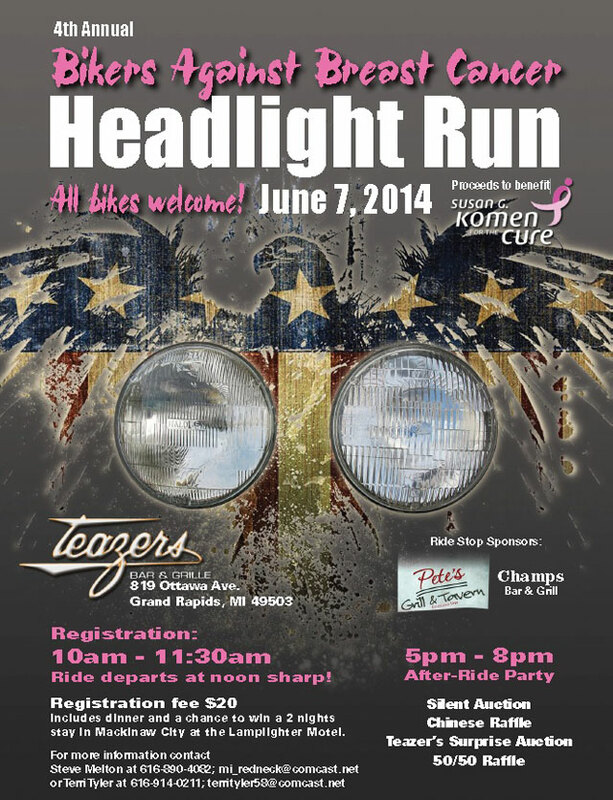 Info: Nice ride with benefits supporting the cancer center. 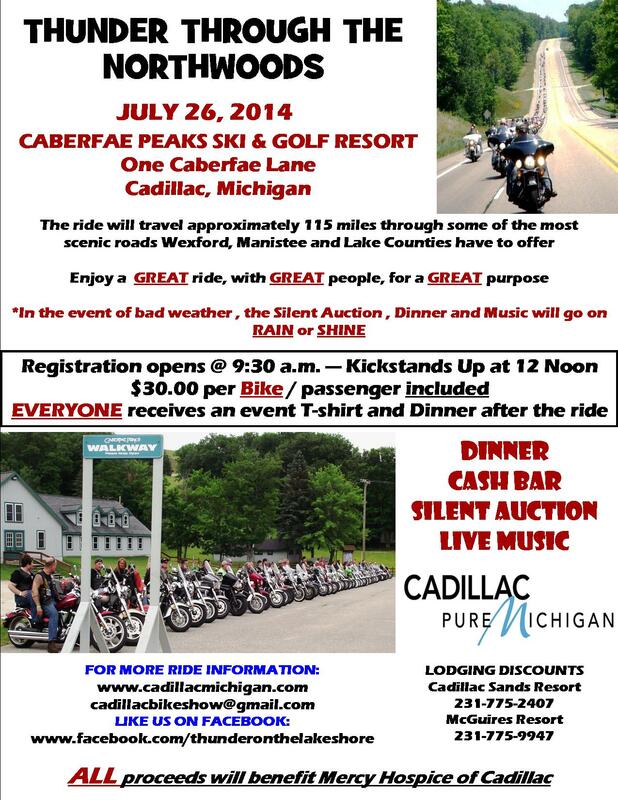 Info: Bike contest that is part of Cadillac’s Independence Day celebration. 10 classes and trophies awarded to all class winners. Live music, vendors, beer tent, 50/50 raffles and door prizes. See the flyer HERE. 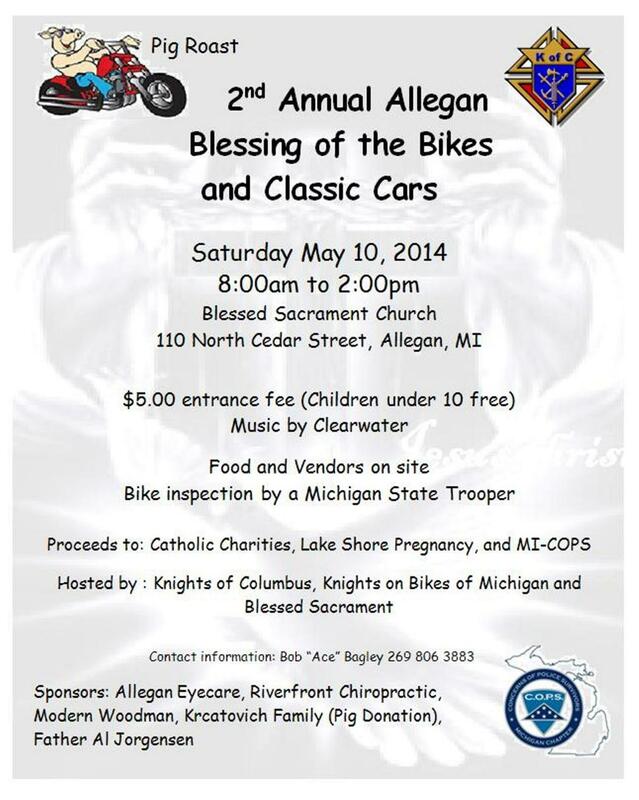 Info: Two day event that features the ride in downtown Niles, MI. One of the oldest and largest burn rides around. Main street is closed off to only bikes. Vendors, bike games, dunk tank, beer garden, and two bands beginning at 6:00 pm and ending at 12:00. 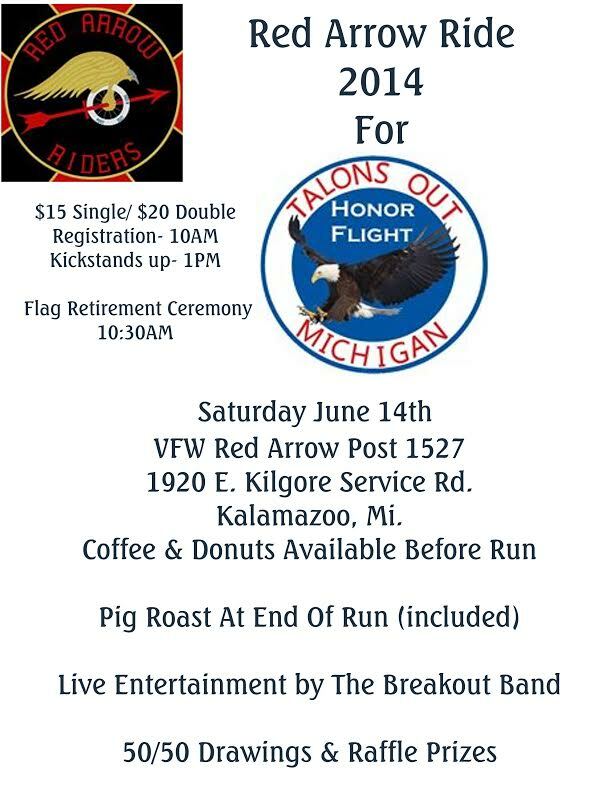 Sunday Morning features live music, bike games, and a 50-60 mile ride through picturesque Berrien and Cass counties in Michigan. 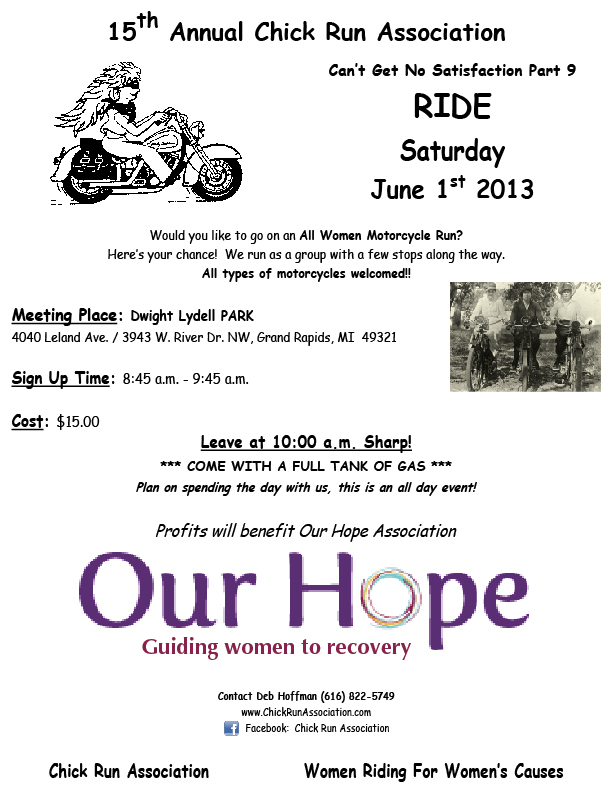 The ride benefits the Great Lakes Burn Camp. The Camp is a special place for kids ages 6-17 to meet heal, grow and support other burn survivors. Kids share their stories and bond with other kids in a comfortable, relaxed environment. Unconditional love and acceptance is only part of what each camper receives at Great Lakes Burn Camp. 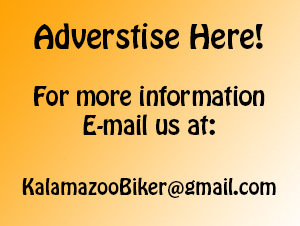 Info: 115 miles ride through Wexford, Manistee and Lake Counties. Silent auction, dinner, drinks, music and dancing following the ride. All the proceeds benefit Mercy Hospice of Cadillac. See the flyer HERE. Info: Paragon Leather Swap Meet; Typical swap meet with vendors and live music. They will be selling beer and food at the stadium. Friday June 27th Bikefest on the grand kicks off with country night… Blair k. & the Outlaws, mustang and stealin hearts. 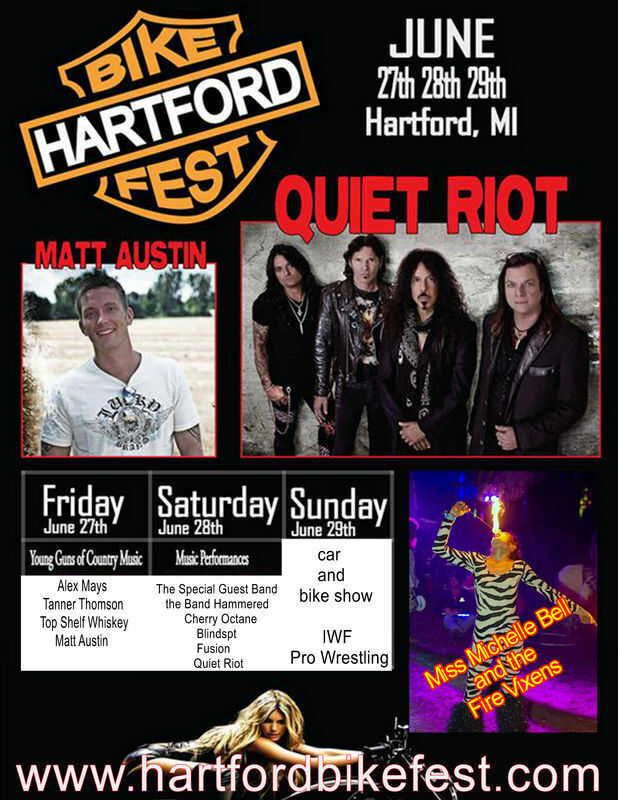 Men in chaps, burnout pit, Huge beer tent, industrial fire arts will be performing. 50/50s, free beer, biker games and corn hole tourney. Saturday June 28th Bikefest resumes day 2 with bike run for Wounded warriors, bike show, free beer, Bikini contest, Biker games, Industrial Fire Arts To perform, Ghengis John the human firecracker to attempt guiness world record as he straps 12,000 thunderbomb firecrackers to his body. Live music the after effect, 4U2NV, Trixy tang, eighth & Amsterdam and a very special performance by in the flesh the best Pink Floyd tribute band complete with laser and light show with 14 ft megatron. We will have website with schedule of events updated soon.